If you overload your dryer you may be asking for trouble. 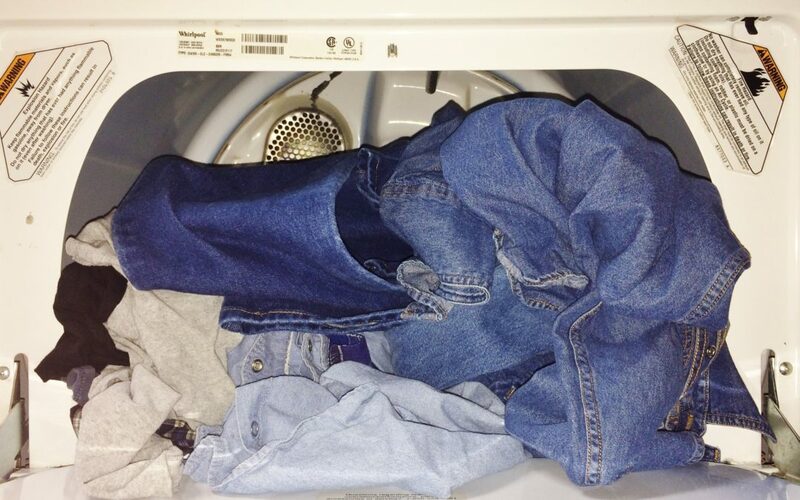 Putting too many clothes in your dryer may actually damage it and possibly burn out the dryer motor. If your dryer shakes, vibrates, rattles or even tries to move around the room, it could be that the legs on the dryer are uneven or the floor surface is unstable but most likely it is because you have over loaded it, too many clothes!! A number of dryers have different settings and cycles for a variety of times, fabrics and item options. If you use the Air Dry or Air Fluff cycle and it leaves your clothes damp it is because not enough heat was produced to dry the clothes, using the wrong cycle and time setting can leave the clothes damp, also piling too many clothes into the dryer will prevent the clothes from tumbling freely and therefore prevent them from drying. 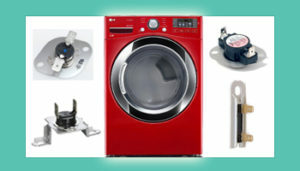 If the dryer has a dryness sensor the sensor may overload if the clothes are not able to dry adequately. The sensors then would malfunction or stop working. The dryer motor could possibly burn out prematurely if you continue to overload it because it puts a strain on the dryer. If you are overloading your dryer on a regular basis, that can eventually cause the system to overheat and cause damage to the unit. If your dryer is making a loud growling noise and sometimes buzzes when the start button is pushed or sometimes the motor shuts off before the cycle is completed then you may have a problem with the motor. Always remember to clean the dryer lint filter after each load and it is helpful to keep lint from covering the motor which could cause it to overheat and burn out. If the dryer is humming after pressing the start button and you cannot turn the drum by hand it is likely your motor has burned out and will need to be replaced. Caution: Always remove/disconnect the power source from the unit you are working on. Unplug it! When unplugging or removing the power source, double check to make sure you removed the proper cord or turned off the proper breaker. Check to see if the motor will rotate freely and run it with the belt removed and blower in place. If the motor runs good without the belt then the problem maybe the idler pully or drum. If the drum cannot rotate fully with the belt on, you may need to replace one or possibly both of these parts. If you have to hold the start button down for a couple of seconds, this is most likely the sign of a burned out or bad motor which will need to be replaced. 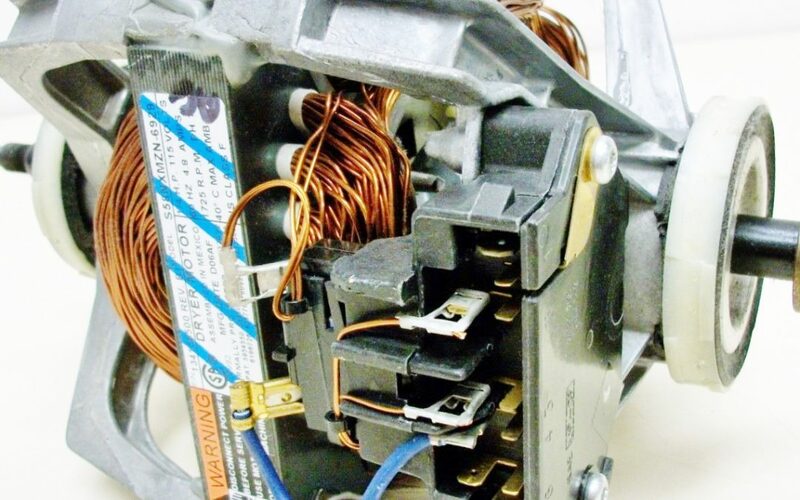 If your dryer will start but then stops after just a few minutes then your problem maybe a malfunctioning thermal overload detector which is mounted on the motor and heater box. 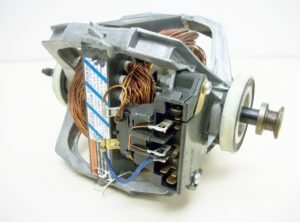 Perhaps the motor hums but does not rotate even with the belt removed, but you can still turn the drum by hand, you may have to replace the motor or motor start capacitor.